Last modified on 17/4/2009 at 10:54:00 AM. Total 4461 views. 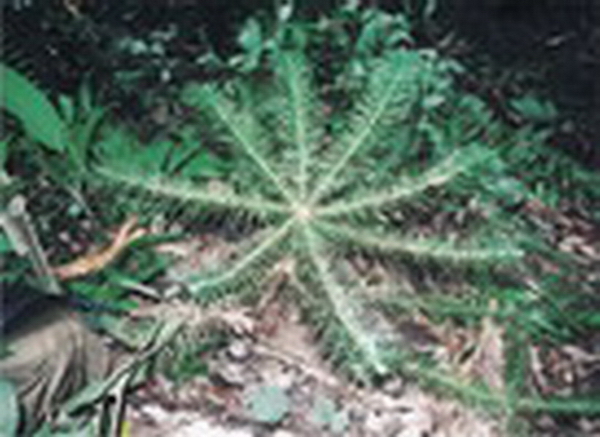 This species is included in Group IIA of the List of Rare and Precious Flora and Fauna for limited exploitation. In Nghe An, a research project is underway to determine the full extent of its distribution within the province and to study its biology and ecology (Tran Van Duong, 2001). Attempts at establishing conservation plantations in Ky Son have had limited success; a major problem is the collection of seed and selection of suitable sites for plantation. populations, their restriction to a few areas in three provinces and the extent of deforestation resulting from shifting cultivation in those areas, it meets the Endangered status following the IUCN (2001) criteria. Closely related to C. lanceolata, this is an upright tree with pyramidal habit, reaching up to 50 m high with a dbh to 2.5 or more metres. It is found scattered in small groves in primary closed evergreen tropical seasonal mixed submontane and montane forests (mean annual temperature 13-190C, rainfall above 1500 mm) on granite and some other silicate derived soils from 960 - 2000 m amsl. Associated conifers include Fokienia hodginsii, Nageia wallichiana and Dacrycarpus imbricatus. Natural regeneration has not been observed in Pu Huong NR or at Pu Mat NP in Ky Son, Nghe An. In other areas regeneration seems to be confined to landslips or freshly burnt areas and apparently requires gaps. 1. 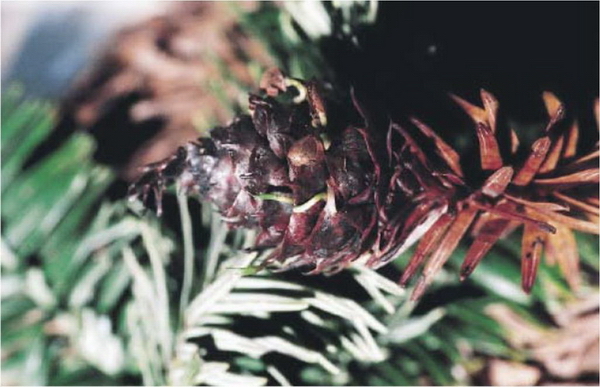 Cone-bearing branchlet and ripe seed cones. 2-3. Sterile branchlets of old canopy. 4. Leaf of cone-bearing branchlet, adaxial view. 5. Leaf of cone-bearing branchlet, abaxial view. 6. Seed scale, abaxial view. 7. Seed scale, adaxial view. (Drawn from Tran Dinh Nghia T 1815 by Bui Xuan Chuong). In Vietnam it is found in Ha Giang (Tay Con Linh), Thanh Hoa (Xuan Lien) and Nghe An (Pu Hoat, Pu Huong, Pu Mat, Ky Son). This species has also been recorded from adjoining areas of Laos (Province - Houa Phan) and from Taiwan. Accessible stands have been heavily exploited by State Forest Enterprises in the recent past; currently it is used locally for house construction and making coffins as the wood is resistant to rot, termites and is easily worked. 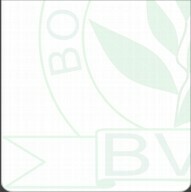 It is relatively fast growing and has potential for forest plantation. Heavy exploitation and limited distribution are the main threats. A secondary threat is related to the introduction of foreign provenances of the closely related C. lanceolata for plantation work. These taxa are known to hybridise readily; if this happens then the genetic integrity of the remaining wild populations in Vietnam and in Laos would be at risk. Populations are recorded from Xuan Lien, Pu Huong, Pu Hoat and Pu Mat, Tay Con Linh protected areas. Local logging activities have to be stopped by raising the awareness of the people and state agencies and by providing on-site protection. Local people, and relevant authorities, also need to be informed about the problems of introducing C. lanceolata from areas outside of Nghe An for their own use. Collaboration with Laotian foresters is an important measure since most populations are located in areas that cross the national borders. 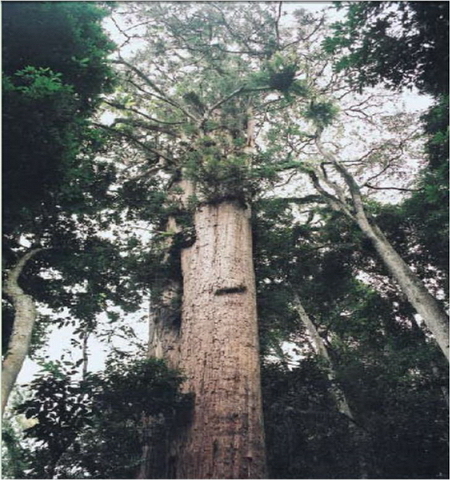 The species has high potential for timber plantation as one of the largest trees in Vietnam. Silviculture trials should be established in suitable sites by collecting seeds from different sources. Seeds and seedlings can be imported from Laos for plantation but C. lanceolata should not be interplanted with the species.